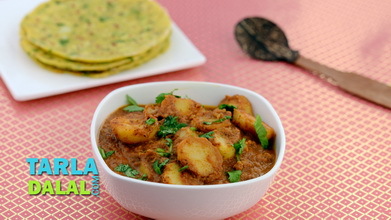 Rich and luscious, the Potato Amritsari derives its grandeur from a paste of cahewnuts and onions, with green chillies and other ingredients. 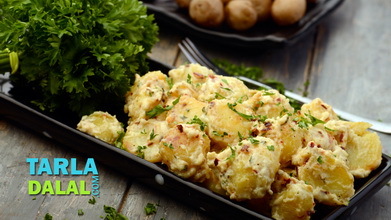 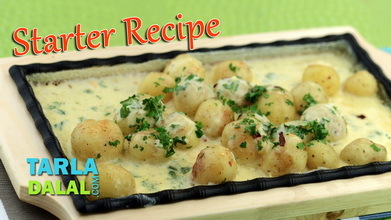 This creamy paste together with curds and spice powders forms a delicious base for deep-fried potato cubes, offering the diner an experience par excellence. 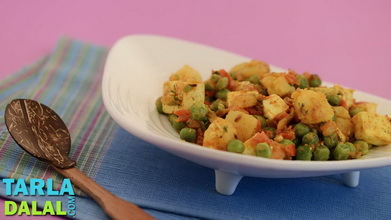 Combine all the ingredients along with ½ cup of water in a broad non-stick pan, mix well and cook on a medium flame for 3 to 4 minutes, while stirring occasionally. 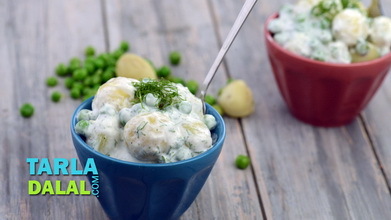 Combine the curds, cornflour and ½ cup of water in a bowl, mix well using a whisk and keep aside. 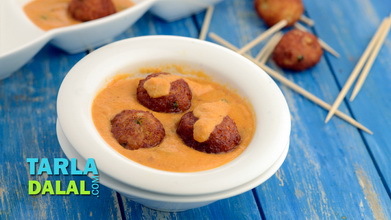 Heat the oil in a non-stick kadhai, add the prepared paste and cook on a medium flame for 1 to 2 minutes, while stirring continuously. 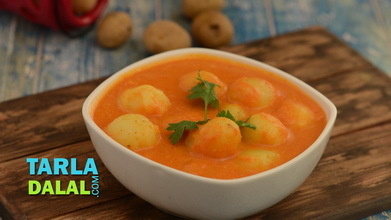 Add the curds-cornflour mixture, chilli powder and garam masala, mix well and cook on a medium flame for 1 minute, while stirring continuously. 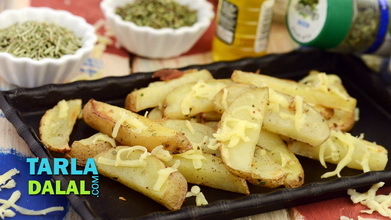 Add the potatoes and a little salt, mix well and cook on a medium flame for 2 minutes, while stirring occasionally. 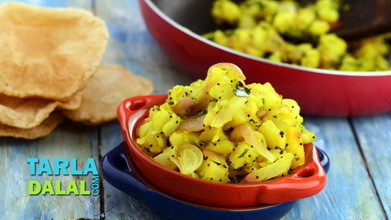 Garnish with coriander and serve hot with parathas.